Call us today to rent dive gear! California and Mexico’s 3840-mile coastline offers an incredible diverse range of scuba diving opportunities and locations. The liveaboard dive crews of the MV Horizon have been diving them since 1971 and we know the unique gear needs for these waters. The southern coast has relatively warm waters all summer long demanding 7 mm wetsuits while further south, in Mexico, world-class warmer water diving awaits, featuring deep water canyons, great white sharks, and an abundance of sea life. To experience the Southern California kelp forests at the Channel Islands you might need gear ranging from steel tanks to dive computers and we have it all. In partnership with Aqua Lung we have the scuba products and dive equipment to allow you dive with bat rays, calico bass, giant kelp fish, moray eels, Giant Black Sea Bass (seasonal), octopus, or many other local species while exploring through columns of lush kelp.The MV Horizon provides you with all the tools for a safe and memorable dive experience. 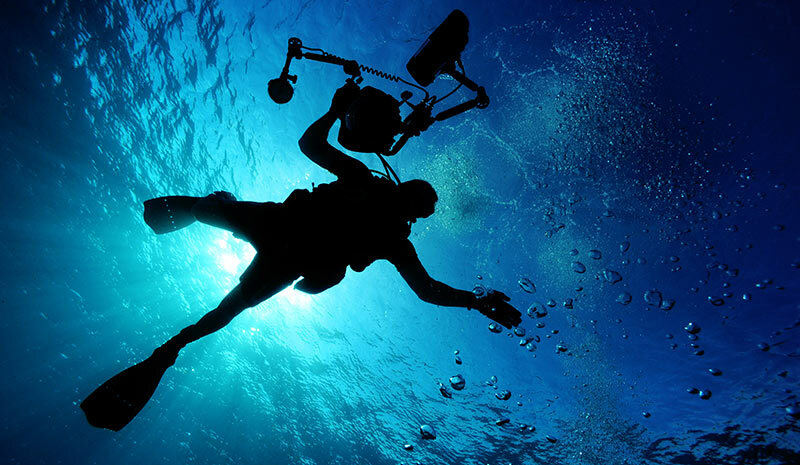 We provide the highest quality scuba equipment necessary for exciting liveaboard diving and can effect minor repairs and adjustments to your equipment while on board. When you charter a liveaboard vacation with the MV Horizon to explore some of the most abundant ecosystems on the planet, we’ll have all dive gear necessary on your expedition for rent, maintained to the highest standards and waiting for your arrival. We recommend that you bring personal effects such as towels, sunscreen and other items for your personal enjoyment of your time on the ocean with us and let’s us know what your specific needs are. If we don’t have it a quick phone call can get it for you in a timely fashion. Horizon Charters has you covered for all of your diving needs. Let’s dive! Please reserve prior to your scuba trip so we are sure to have what you need. You can pay at the end of the trip as part of your galley tab with cash, check, or credit card. Reserve prior to the trip so we are sure to have what you need. You can pay at the end of the trip as part of your galley tab with cash, check or credit card. Aqua Lung Impression, Linea, or Teknika. All with Impulse 3 Snorkels. Aqua Lung Core Regulator/yoke. All come with Aqua Lung I300 Computers.